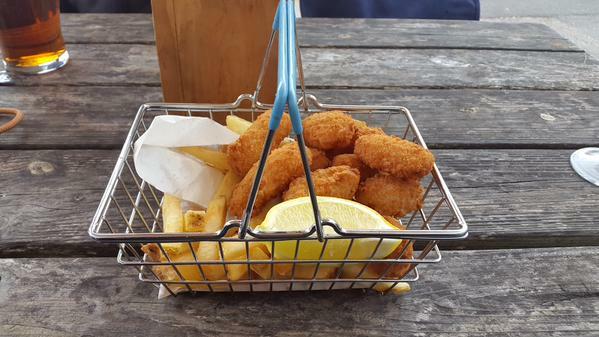 Scampi in a shopping basket = ketchup on table and trousers. 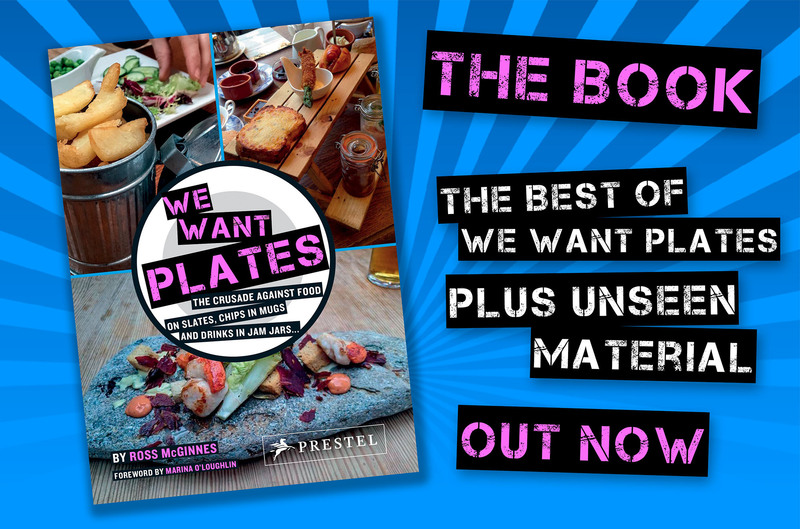 We Want Plates is the global crusade against serving food on bits of wood and roof slates, chips in mugs and drinks in jam jars. It has over 700,000 followers across Twitter, Facebook, Instagram and Reddit. For media enquiries please mail We Want Plates creator and curator Ross McGinnes. The One Show, BBC Radio 5 Live, BBC World Service, Daily Mail, Daily Mirror, The Guardian, The Telegraph, The Times, The Independent, London Evening Standard, Metro, Stylist, Good Housekeeping, Buzzfeed, Mashable, The Poke, Huffington Post, Vice, YouGov.